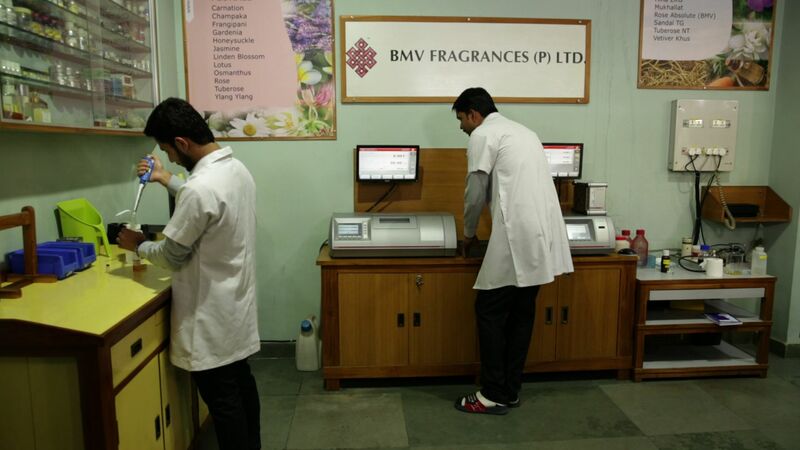 BMV Fragrances Pvt. Ltd. situated in Greater Noida , is about an hour away from the Capital New Delhi. The fact that company follows all international norms and standards can be reflected by the fact that its factory is located in a serene and a peaceful environment surrounded by greenery and clean fresh air. 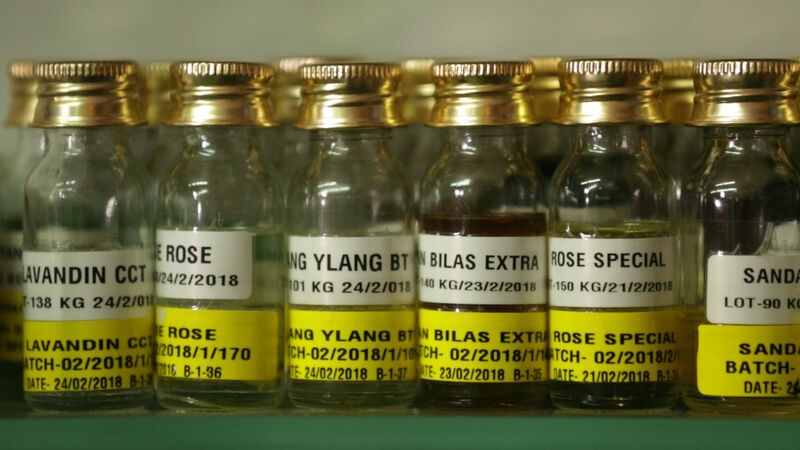 Something that is so important for perfumery industry. 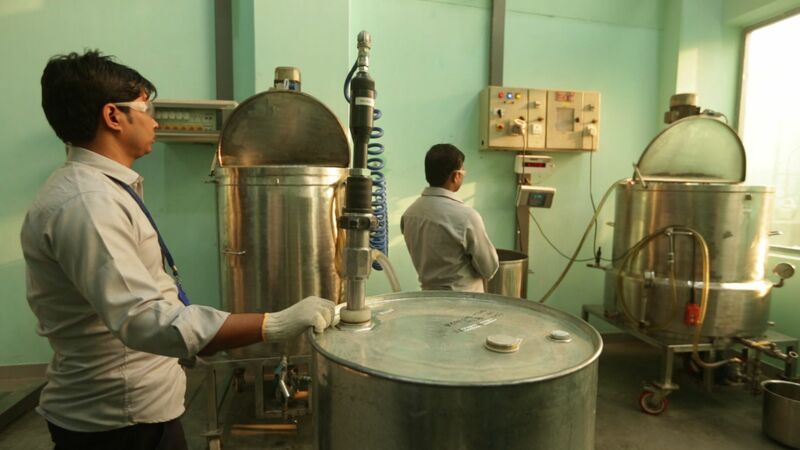 BMV's sprawling manufacturing unit is spread on total of 27000 square feet of working area. It has got 3 separate divisions or units: Naturals and Extractions, Blending and for Hot Blending of Extracts. 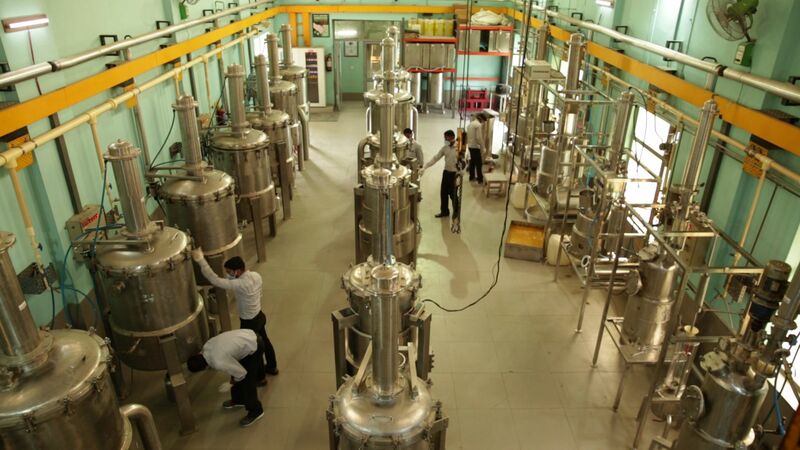 The extractors in the naturals division are all designed in house after years of experience to maximize production and increase the efficiency. The company has 12 extractors of 800 litres and 6 extractors of 400 litres each. Also 2 concentrators of 200 litres, 100 litres and 50 litres and various other capacity concentrators. 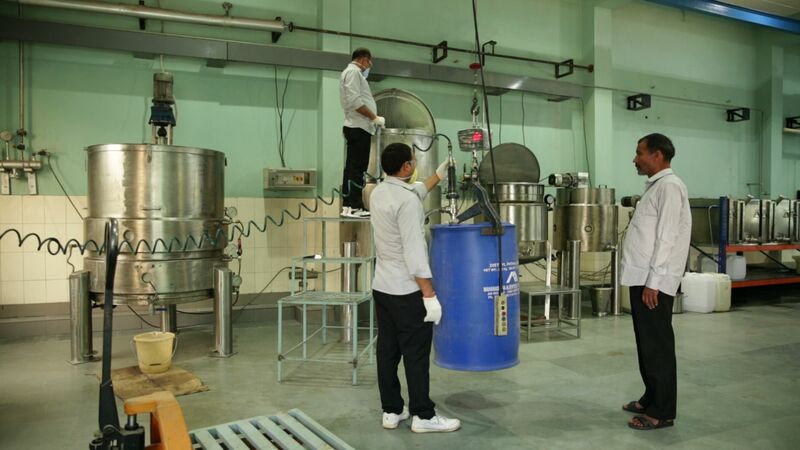 The blending unit has stainless steel drums for storage, with all critical material flushed under nitrogen. The complete blending section has an in-house system for faster blending with 4 terminals connecting to the central server and 4 blenders working independently. 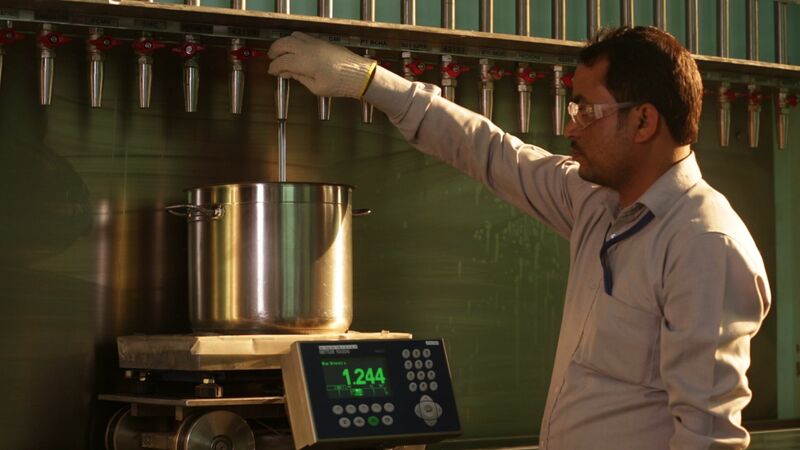 The company can effectively blend 10 different formulations, totalling about 6 tonnes of material in a day. BMV has conceptualized and indigenously designed stainless steel pipe line system for dispensing liquids reducing manual labour also the entire factory is fitted with lifts, cranes and hoists to minimize manual labour and increase the efficiency. At BMV, quality is not only a check but a commitment. 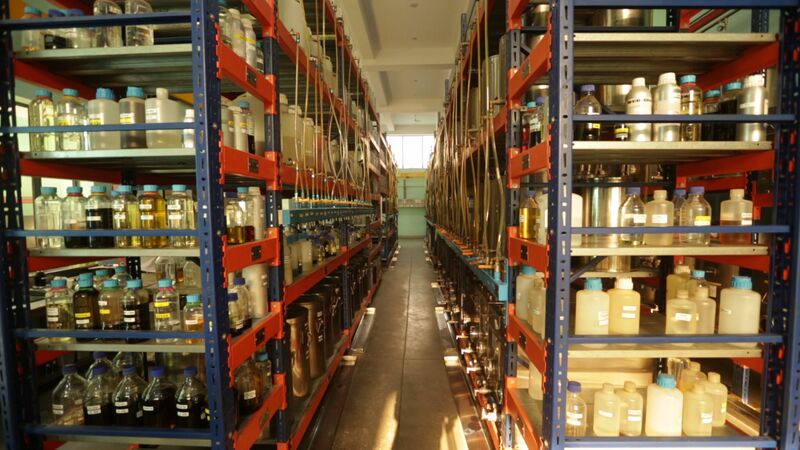 It has got a research and innovation centre to match the best in the country. Our core focus and strength is our quality with no compromise and zero tolerance as each and every input is thoroughly tested before sending it to the shop floor and outside the factory premises. 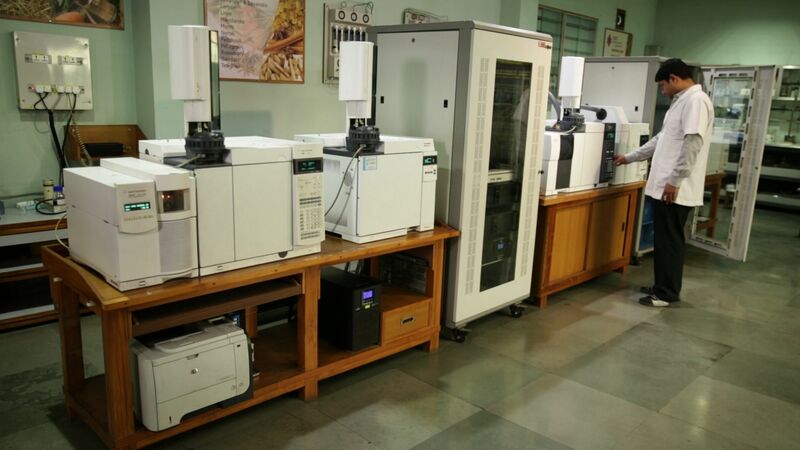 BMV has an inventory of around 1500 different chemicals, oils and absolutes state of art of technology of 3 GCMS, 1 Head space, 1 GLC to ensure quality controls as per International standards and Anton Paar equipments for Optical Rotation and Refractive Index. 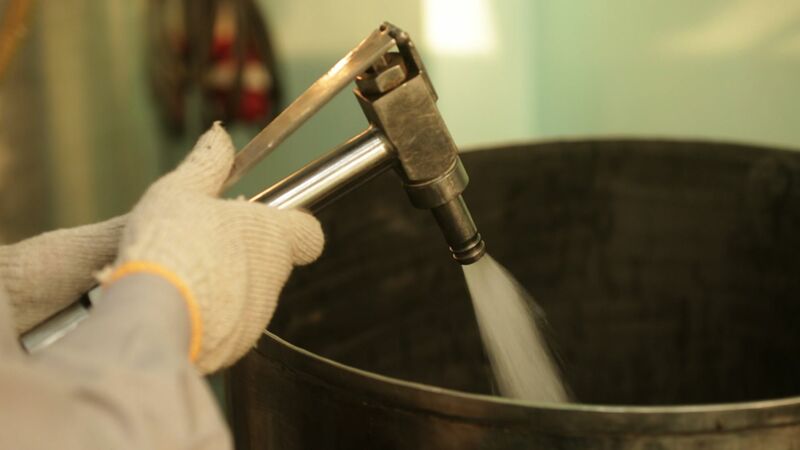 The company has an in-house water treatment plant for the treatment of effluent with its focus on environment and commitment with nature that “We Care”. There are two boilers, one diesel which is a standby and the other, which is the main boiler, runs on Gas (Pollution Free). A power backup of 250 KVA and 25 KVA to ensure continuity of operations and to meet contingencies. BMV has a maintenance team for a trouble free and non-stop production , which allows us to make and keep our commitments. Needless to say that we are fully equipped with the best Hardware & Software to give you consistent supplies batch after batch.